Mahmoud Abbas, the Palestinian president, has accused one of his main Fatah rivals, Mohammed Dahlan, of involvement in six murders, and questioned his role in the death of former leader Yasser Arafat. Abbas made the accusations against Dahlan, who is regularly cited as a possible future president, during a meeting of the Fatah Revolutionary Council on March 10 in Ramallah, with his comments later released to media. Abbas said an investigation was carried out into Dahlan, for years Fatah’s most powerful man in the Gaza Strip, during the rule of former President Arafat. “It was found out that six people were killed by orders from Dahlan,” the president said, but added that Arafat did not release the report. Abbas, who turns 79 this month, said he did not have any proof that Dahlan was involved in the death of Arafat, but he read out several statements in which his 52-year-old rival had allegedly criticized Arafat. Arafat died in a French military hospital in 2004 after a sudden illness, and Palestinians had long suspected Israel of poisoning him, a claim it denies. An Al Jazeera investigation asked scientists from France, Switzerland and Russia to find out if radiation had played a role in his death after his body was exhumed last year. The scientists differed in their findings on whether the leader had been deliberately poisoned. “Who killed Yasser Arafat? This is not evidence, but indications that deserve consideration,” said Abbas. Dahlan was removed from the group in 2011 following earlier claims that he had murdered Arafat and accusations of corruption. He denied the charges and remains a powerful figure on the sidelines, forging ties with numerous Arab leaders and maintaining links with the splintered Fatah. Dahlan, who lives in exile in Dubai, hit back on his Facebook page, saying Abbas’s speech was full of “lies … stupidity and ignorance of the Palestinian reality.” He added that he would also “unveil the lies” surrounding the death of Arafat, calling it “the most important and most dangerous issue of our modern history”. In an indication of growing sensitivity over Dahlan, Abbas’s government earlier this month cut the salaries of nearly 100 security men still loyal to him in an apparent effort to undermine his popularity. Arab media have reported in recent months that Dahlan has met Egypt’s powerful army chief, Field Marshal Abdel Fattah el-Sisi, and has also reached out to Hamas, the rulers of Gaza who have always viewed him with deep distrust. Abbas said Dahlan had also known of an Israeli plot to kill Hamas chief armed commander Salah Shehada. The assassination attempt failed, Abbas said. Shehada died in an Israeli bombing and it was not clear what assassination attempt Abbas was referring to. 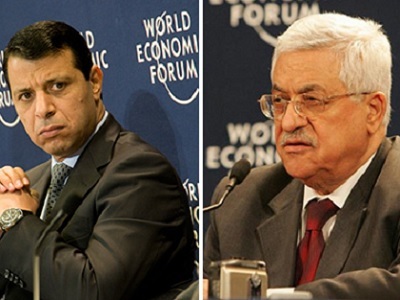 Dahlan said there was only ever one attack on Shehada and accused Abbas of making up stories. Hamas spokesman Sami Abu Zuhri said Abbas’s comments made clear the Palestinian leadership had conspired against his group, which ousted Fatah from Gaza after a 2007 civil war.